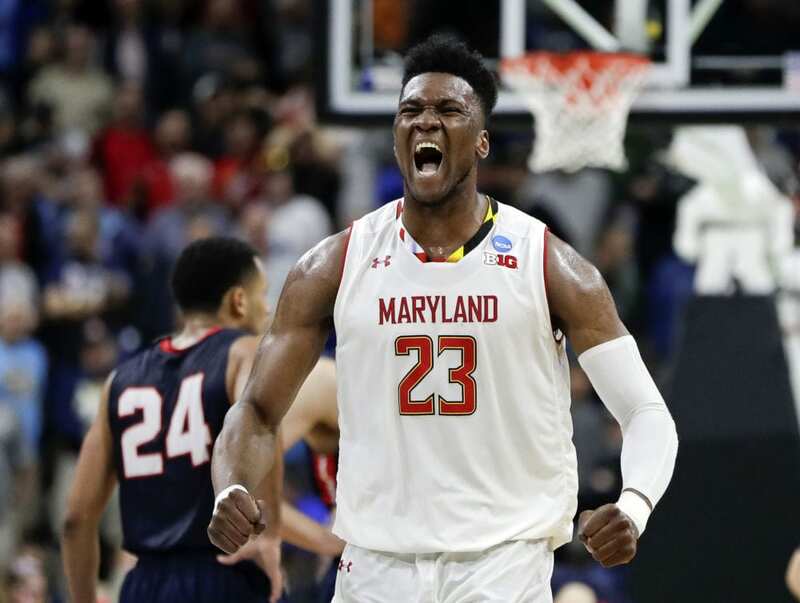 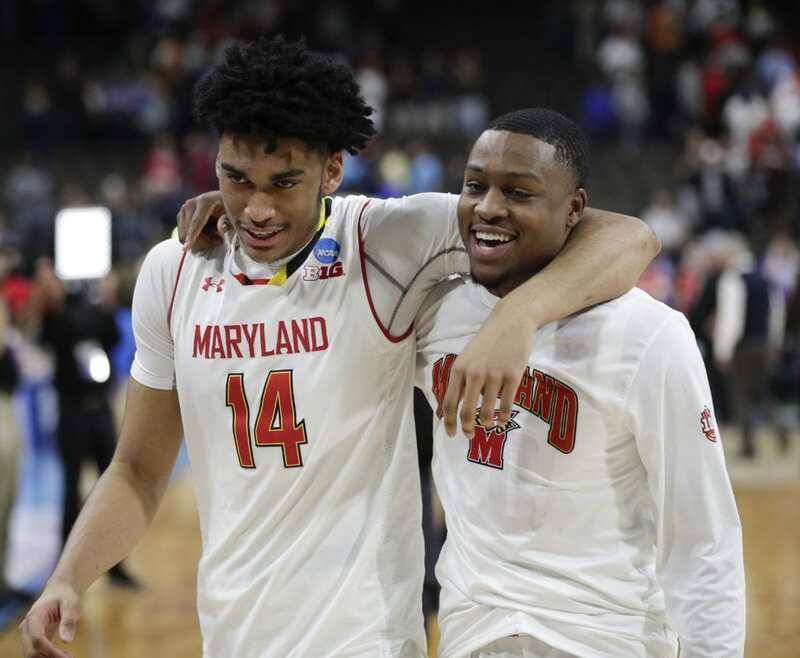 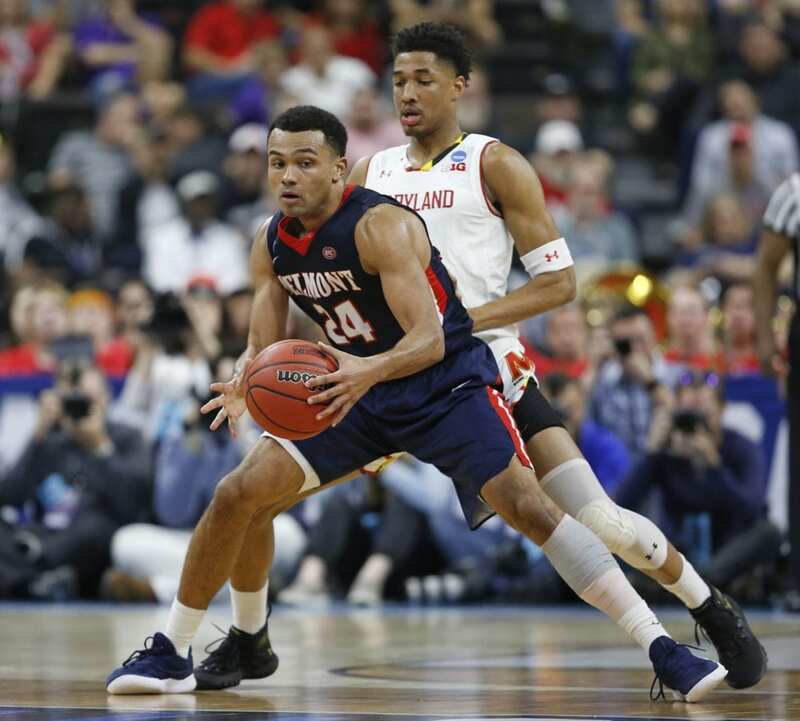 “They’re almost impossible to guard,” Turgeon said, with plenty of admiration in his voice for the mid-major powerhouse from Nashville, Tennessee. 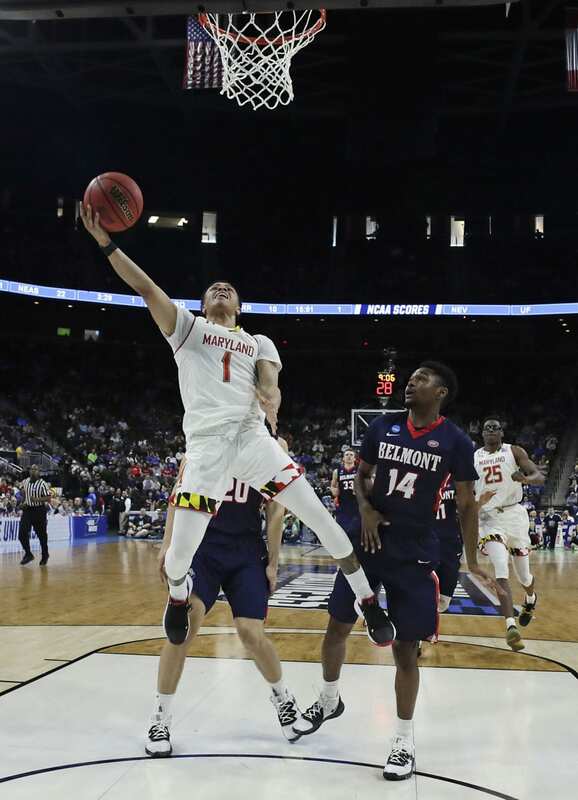 Maryland was clinging to a one-point lead and the shot clock was off as Belmont (26-6) went for a buzzer-beating win. 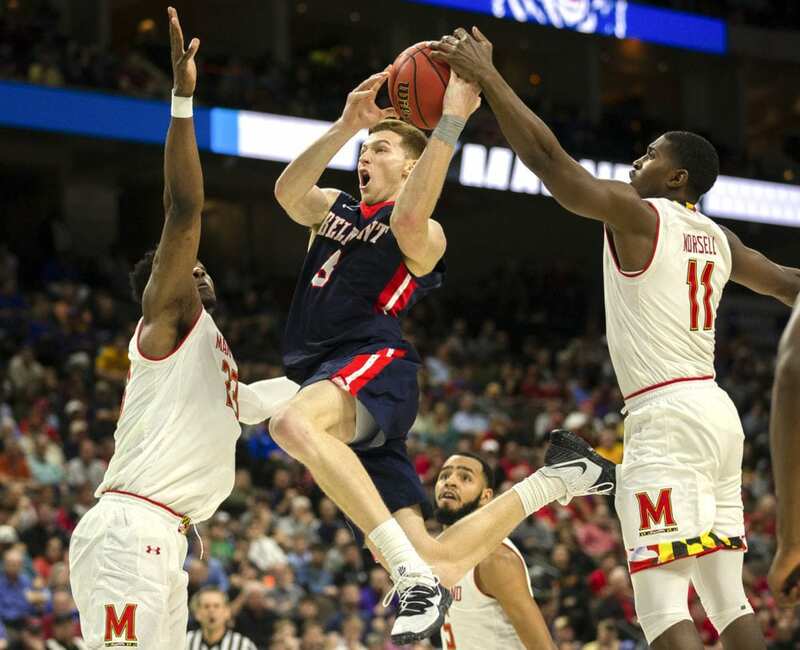 The Bruins didn’t bother calling a timeout to set up a play; they knew what they wanted to do — a backdoor pass to Windler that had been one of their bread-and-butter calls all afternoon. 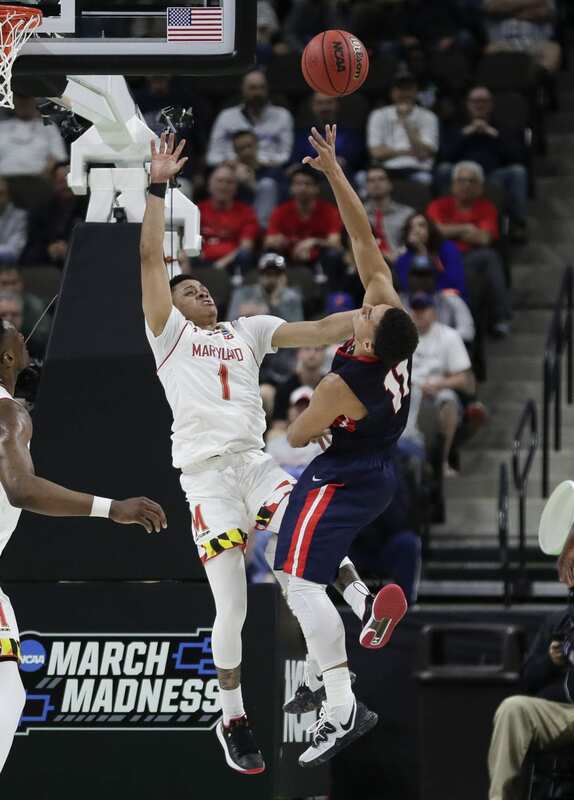 Morsell made the first free throw and missed the second, forcing Windler to heave a desperation shot from midcourt that didn’t come close to hitting the rim. 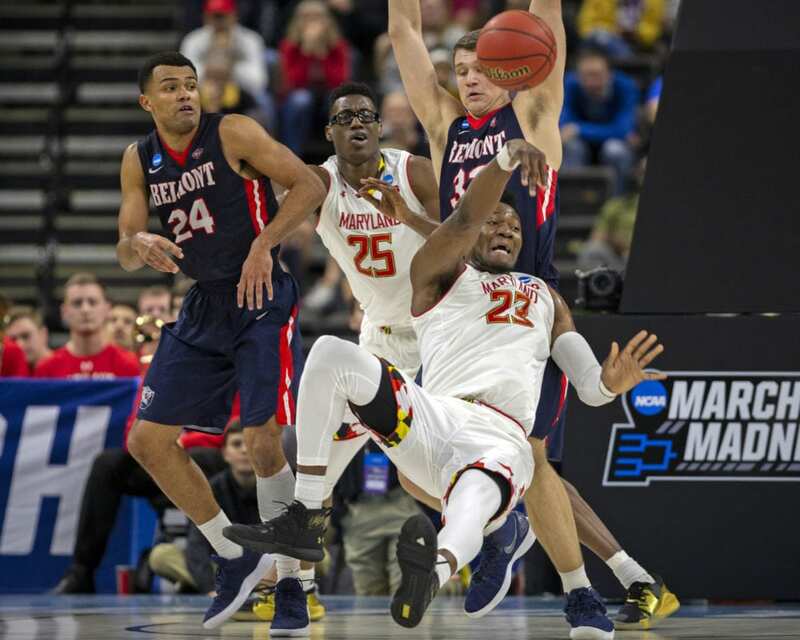 “We let them come out in the second half and run loose on us,” Byrd said. 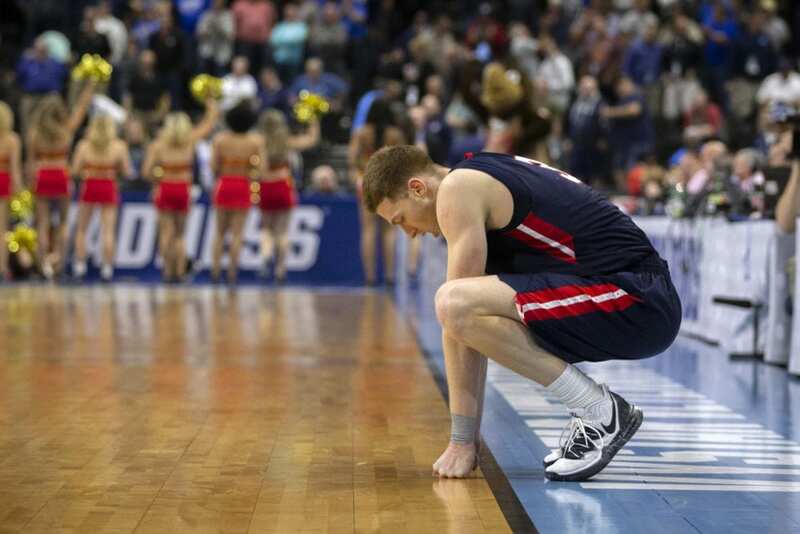 Backup center Seth Adelsperger, known as “Mountain Man,” gave the Bruins some huge minutes when Muszynski went to the bench with foul trouble. 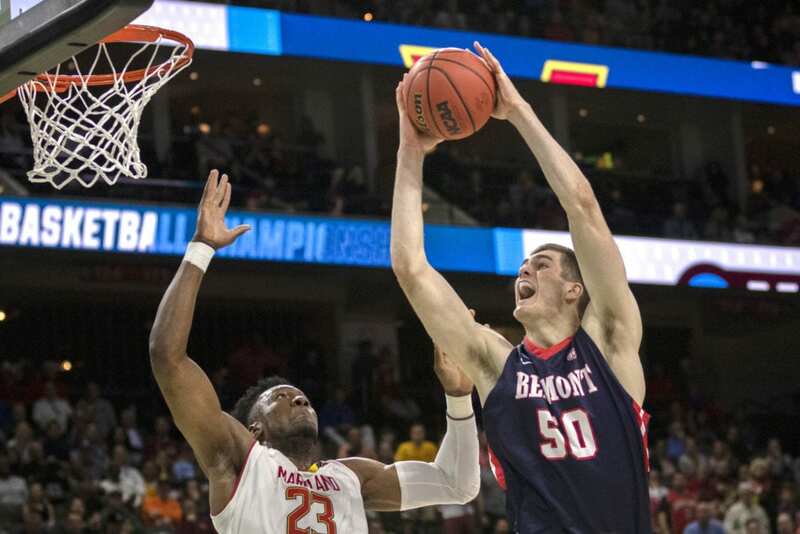 Not known as much of an offensive threat, Adelsperger rocked the rim with back-to-back dunks that sent the Belmont bench into a tizzy. 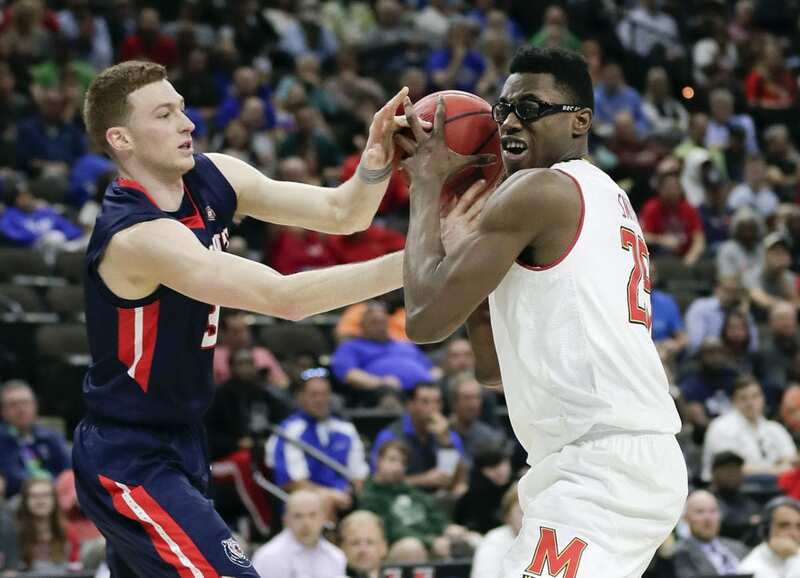 “We played really well to win this game,” Turgeon said. 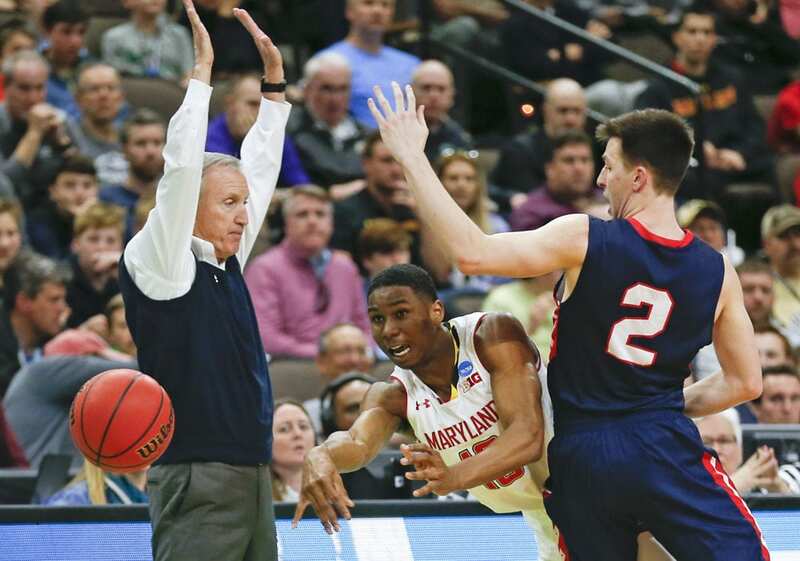 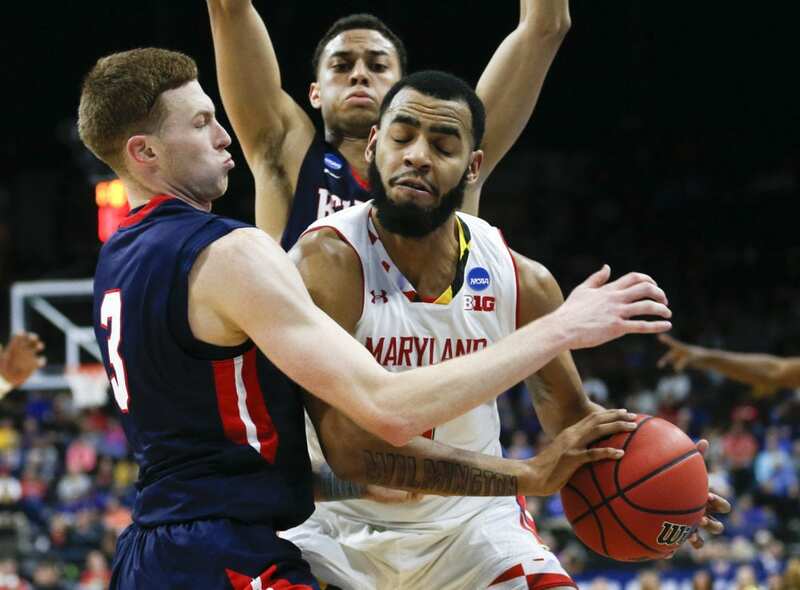 Be the first to comment on "Big Defensive Stop Allows Maryland To Escape Belmont, 79-77"